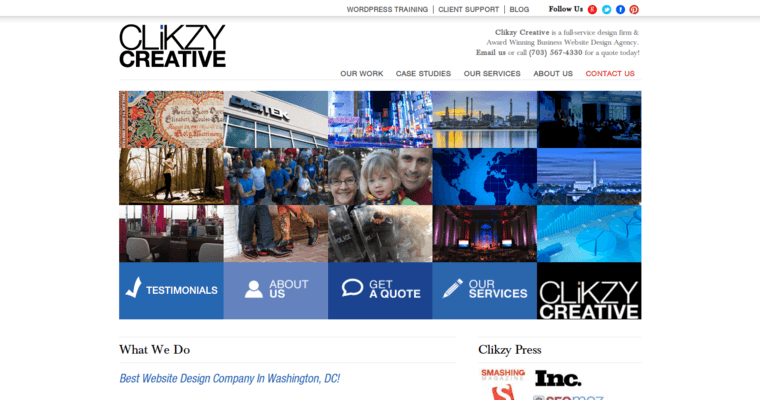 Clikzy Creative is a Web design agency and online marketing firm that endeavors to build quality websites for small and medium sized business ventures. They possess a dedicated staff of Web designers equipped with expertise in online marketing and eCommerce design principles. They are focused on increasing a website's search engine ranking as well as keeping visitors to a client's website interested and involved in the content on the page. 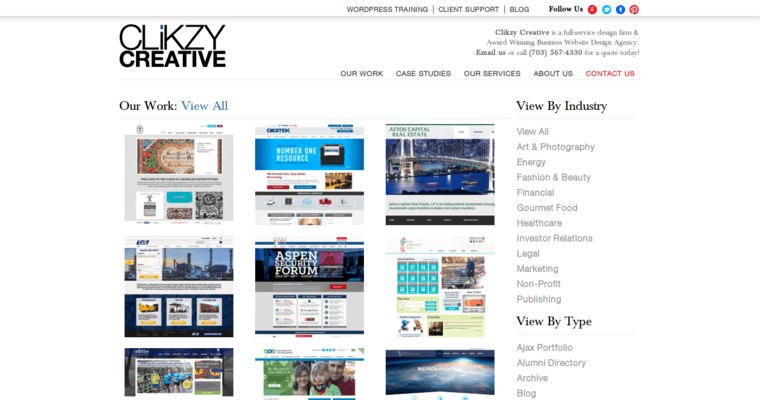 Each website Clikzy Creative designs is tailored to a client's individual needs, and their staff fields a variety of skills aimed at achieving this end. They are able to outfit a website with a number of content management systems, such as Joomla, WordPress, Drupal and Magento; design interactive websites with Flash or JQuery; enable database functionality with customizable PHP development; and set up effective shopping functionality with a number of eCommerce design strategies. Clikzy Creative also functions as a branding agency and offers a number of services aimed at creating, improving and designing a company's brand. Their graphic design team can design company logos, business cards and brochures, and a team of branding experts is available to address the more subtle aspects of creating and maintaining a successful brand.